When Sarah calls you up and asks if you want to bake something, the correct answer is always yes. Yes! You’ll shout into the phone, not caring what day of the week it is or what you might have planned to do that afternoon. New plan: bake with Sarah. So that’s where I found myself one bright afternoon, sitting with Sarah in my kitchen nook, the two of us staring at a giant bowl of cherries on the countertop and leafing through a mound of cookbooks for inspiration. Pound cake! We decided. What does Ina have to say about it? We wondered. Ina had a few things to say about her pound cake (honey, pure cake flour, no cherries, etc. ), but between Sarah and my meddling the finished recipe was a far cry from the original – laced with almond extract, spelt flour, a healthy amount of brown sugar, and studded throughout with fresh cherry jewels. We watched season 5 of the Great British Bake Off while our own cake baked, which is something I recommend doing, regardless of whether or not you make this recipe. (A Mel/Sue sandwich is always a good idea, y’know?) Anyway, despite all of the meddling, and the fact that we were distracted by television and missed our baking timers, the finished product – our brown sugar cherry pound cake – turned out to be quite simple and fresh, a perfectly dense and buttery cake, topped with a bright and cheerful glaze in the loveliest (slash trendiest) of summer hues. Bottom line is it’s scrummy. Will you try it? On your mark, get set, BAKE! When I was a kid, I don’t think you could have paid me to eat biscotti. To kid-me, an oblong brick of a “cookie” filled to the brim with nuts and dried fruits (and any other non-chocolate addition) merited every last quotation around the word. Give me chocolate chip! Give me snickerdoodle! Hell, give me a fig newton, but keep that biscotti away from me, will you? Oh, how times change. I’ve lived, guys, and I’ve learned. It turns out that biscotti don’t have to be tooth-breakingly hard. They don’t have to contain aniseed, or any other flavors/spice you dislike. Biscotti can be tender and crumbly and even worthy of the chocolate chip! And dunked in some coffee, tea, or a cold glass of milk? Ho ho ho, everybody. Merry almost-Christmas to me! Happy last Thursday before Christmas! I’m hoping to get you at least one more cookie recipe for the big man comes down from the North Pole, but I’m notoriously bad at blogging so let’s see, shall we? Here, some links for you! Looking for a delicious, make-ahead holiday meal? Truffle Mushroom Lasagna! I could watch this all daaaaaay. If Joy says bake, we bake. More cookies! Because honestly, why not? 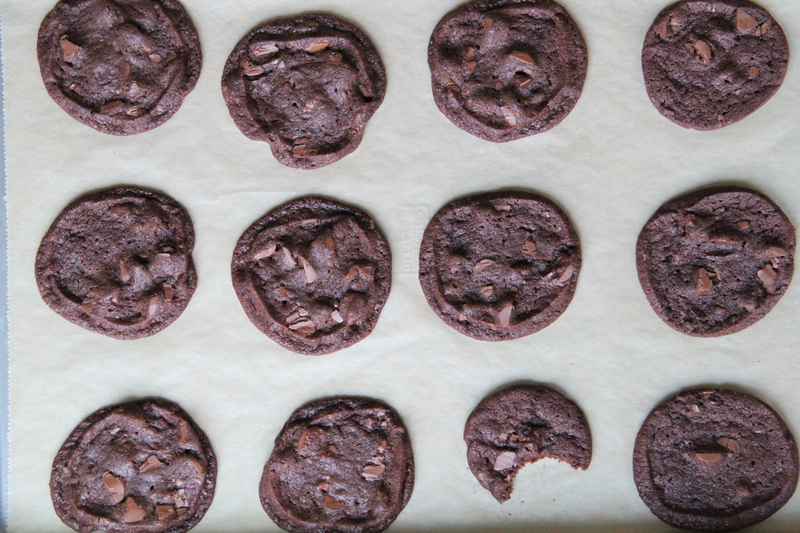 I’ve loved these Chocolate Roll-Out cookies since I discovered them (thanks, as always, Deb!) a few years ago. They’re soft and brownie-like, but in a rollable cookie form, which means fun shapes and glazes and toppings galore. I should note that they’re also fantastic plain, without any of that kind of fanfare. But it’s the season for fanfare! In the form of a smooth white chocolate dunk, and then a heavy sprinkle of crushed candy canes. It’s Christmas in a cookie – absolute perfection. It’s the third-to-last Thursday of the year! Wowza. I am, very appropriately, drowning in cookies and latkes this week. It’s a delicious sort of suffocation. How about some links, yes? Need a nice homemade hostess gift – or maybe just a gift to yourself? Meyer Lemon Almond Loaf Cake! Adding to my to-make list. The enduring power of aunties. For the love of poems/doughnuts. We’re not even halfway through December, but I’ve already eaten so. many. cookies! My freezer is stocked with buttery balls of dough, and there might be hints of chocolate and/or molasses running through my veins as we speak. I’m not complaining – I feel pretty good about it, actually – but there comes a time when something a little more savory is in order. A proper dinner! A simple roasted chicken dish, warm and bright with fresh citrus, briny olives and green herbs, fits the bill. This one is easy enough to throw together on a weeknight, but it’s also elegant enough for company. It’s richly flavored and soul-warming, though the ingredient list is short and simple. During this month of holiday cheer (complete with heavy plates and yes, maybe too many cookies), this is a good recipe to have on hand. Consider this the final installment (part 4, if you will) of my seasonal “Whole Bird Cooking” series! In case you missed them, here are parts 1 and 2 and 3! Hi, friends! Happy Thursday. Has the country just spontaneously gone up into flames yet? No? Great. I’m keeping myself (mostly) distracted from current events with thoughts of seeing friends and family this weekend, and also eating a boatload of holiday cookies. Hannukah is next week! 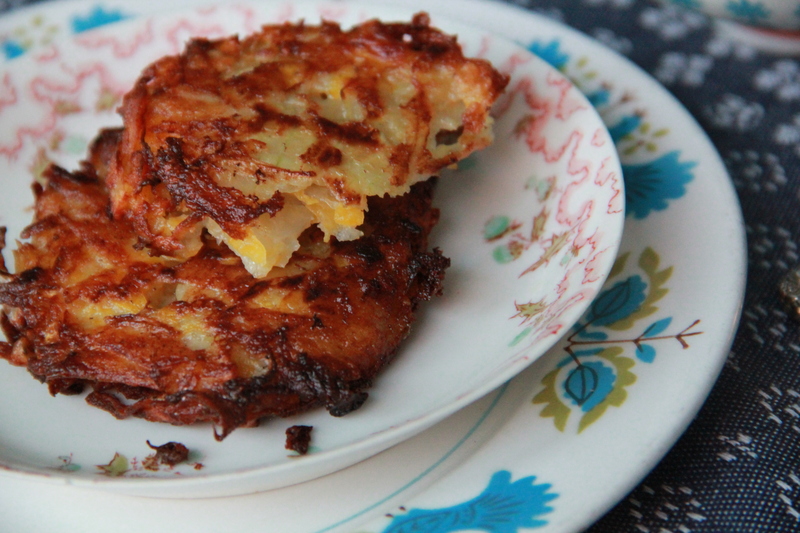 Let’s make LATKES! How to throw a dinner party without a kitchen table. These Onion headlines are just writing themselves these days, aren’t they? “Disastrous consequences for public health” in exchange for lower taxes for private airplane owners doesn’t seem fair to me. You? Do you follow @zoebakes? I’ve been loving her IG stories lately! Did you know that yesterday was National Cookie Day? 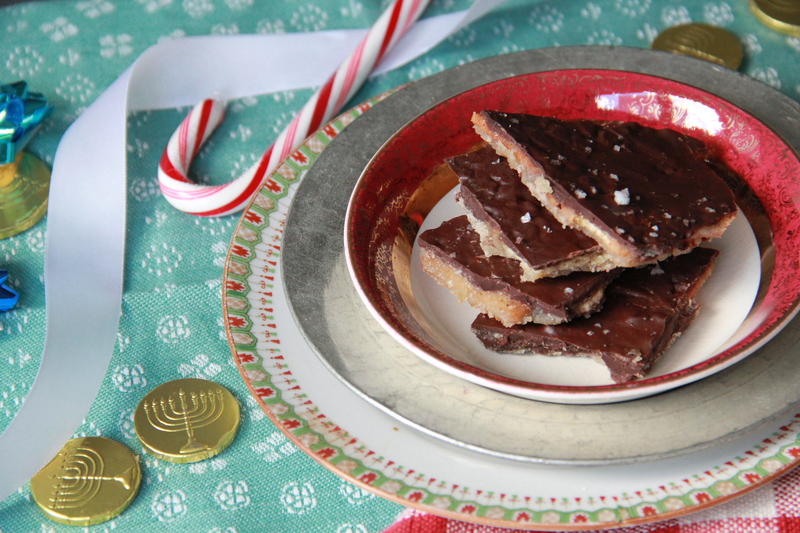 Chocolate Candy Cane Crackles! Extra chocolate-y. Extra festive. 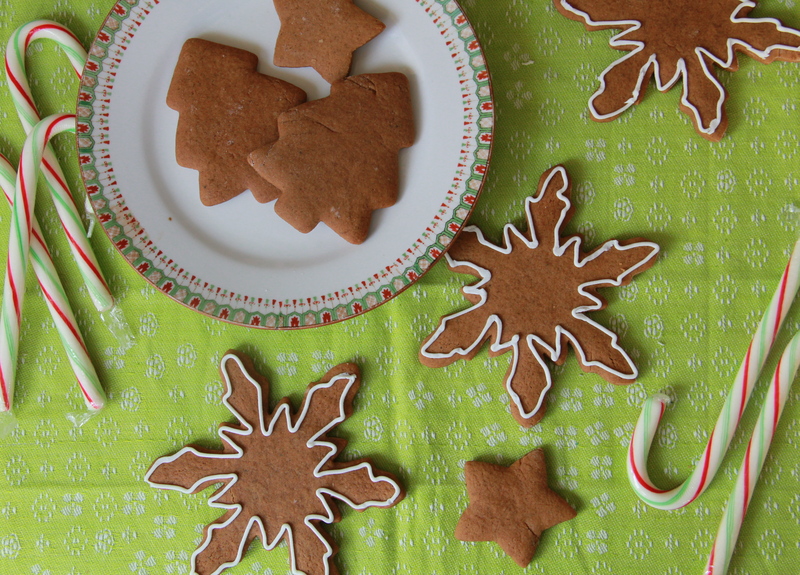 Classic Gingerbread Cookies – the most classic. Need I say more? 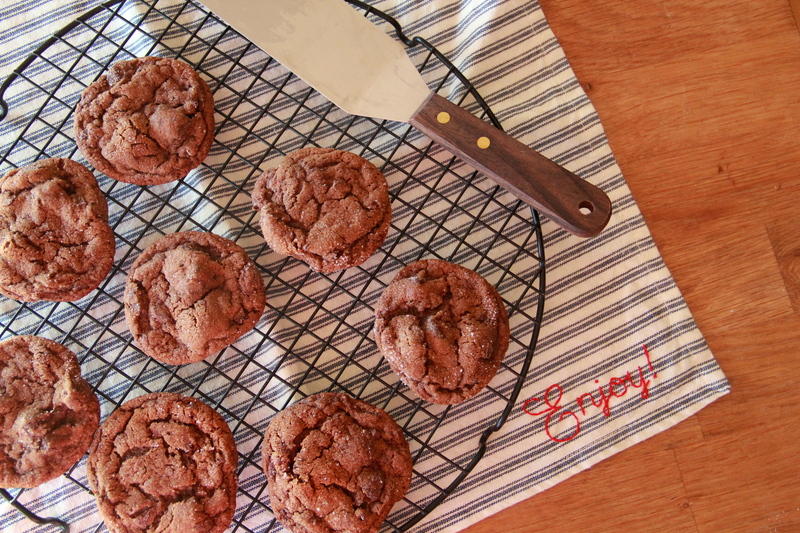 Chewy Gingerbread Chocolate Chunkers. For when you need chocolate and gingerbread in a single bite. Salty Rosemary Toffee Crunch! Not technically a cookie, but so completely addicting I have a feeling you’ll let it slide. 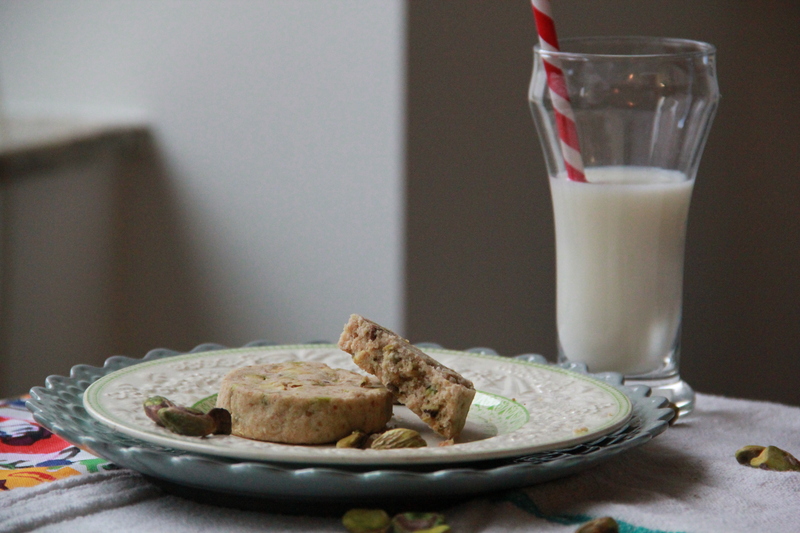 Pistachio Shortbread Cookies! Buttery, nutty, crumbly, YUM. 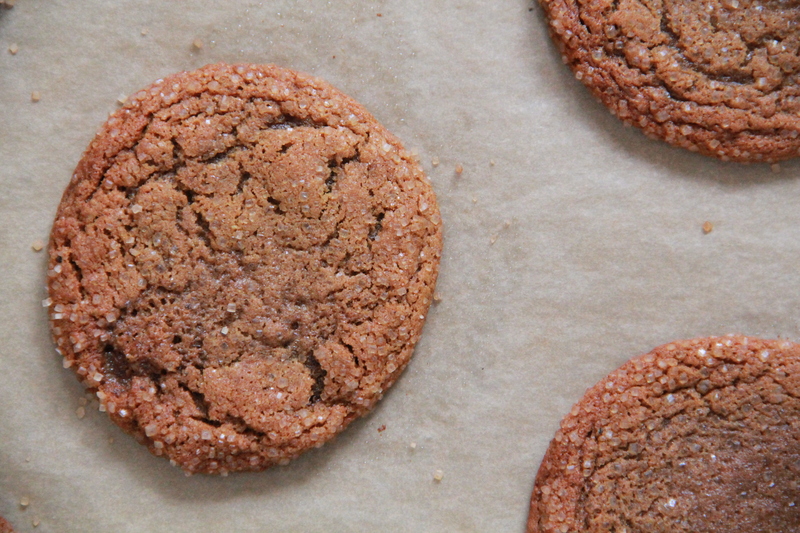 Spicy Molasses & Brown Sugar Cookies! 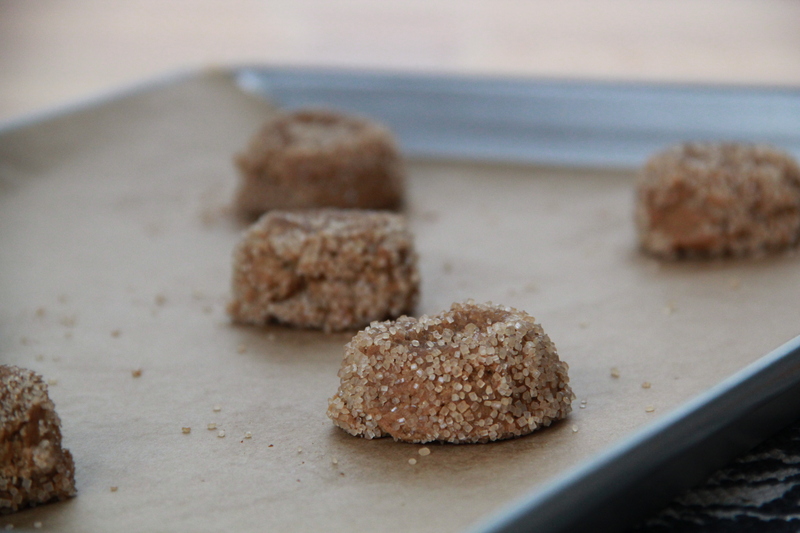 Crispy on the outside, chewy in the middle, and packed with deep, wintery, molasses/brown sugar flavor. These are a favorite of mine. Dorie’s World Peace Cookies. Peace through chocolate sounds pretty good right about now. It seems to me that, especially in December, every day is cookie day. So let’s get to baking, shall we? So, how was it? The turkey and the stuffing and the family hugging/bickering? Ours was big and loud and delicious, as per usual. My team lost the family football game but I tried out a new pie recipe (and added toasted meringue) so, at the end of the day, everyone won. It’s cookie season! 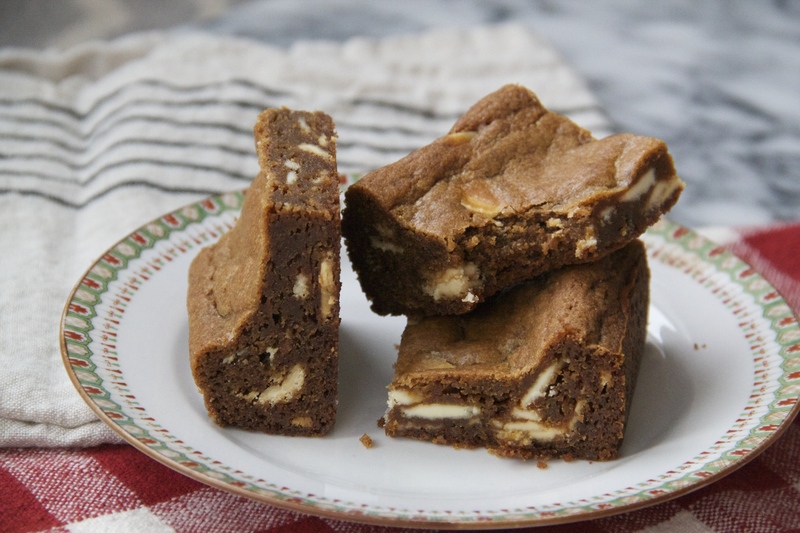 Try these White Chocolate Gingerbread Blondies on for size. Must be some pretty good chicken. What every CEO knows but won’t tell you about the proposed tax bill. Most amazing pie artist of all time! Do you use Ebates? I’m finding it helpful, especially around the holidays. Free money! I’m thinking of giving this meal plan a try post-holidays – has anyone else tried it?